Three 25-30 minute plays designed to be performed at Easter. They can replace a sermon, be part of a service, or be performed as a stand-alone work. 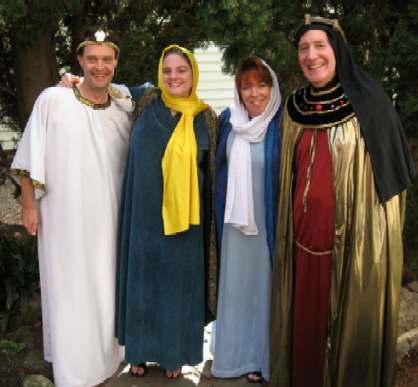 A play about Judean life after the death and resurrection of Jesus. One of its governors, Pontius Pilate, was not from the upper class. He was not a senator from Rome and most probably had military training. Josephus Caiaphas, the Jewish High Priest, was from the upper class and his father-in-law was High Priest before him. The two men clash but both are challenged by Mary Magdelene, and by Mary the mother of Jesus. One of the disciples of Jesus is widely known as Doubting Thomas. Near the end of his life and living in India, Thomas meets a wise woman to whom he relates his life’s experiences. Thomas is concerned that history will only remember him as Doubting Thomas. But is this a bad thing? Did Thomas err? Is it wrong to question one’s faith? Apala listens as Thomas explains his faith in God. She has never heard of Jesus and is greatly impressed that Thomas once worked with the Saviour of the world. And whilst Apala learns about Christianity and is challenged by the man who was crucified and rose again, she is able to offer helpful advice to a disciple of the Son of God. Will Thomas receive a makeover and no longer be known as Doubting Thomas? What can a woman learn from an elderly disciple of Jesus? What can he learn from her? There are many contemporary references to Thomas and his work as a Christian leader and teacher in different countries and particularly in India. There are scholars who quote from a gospel some believe was written by or is attributed to Thomas. His name has become an expression – doubting Thomas – which is widely used today. 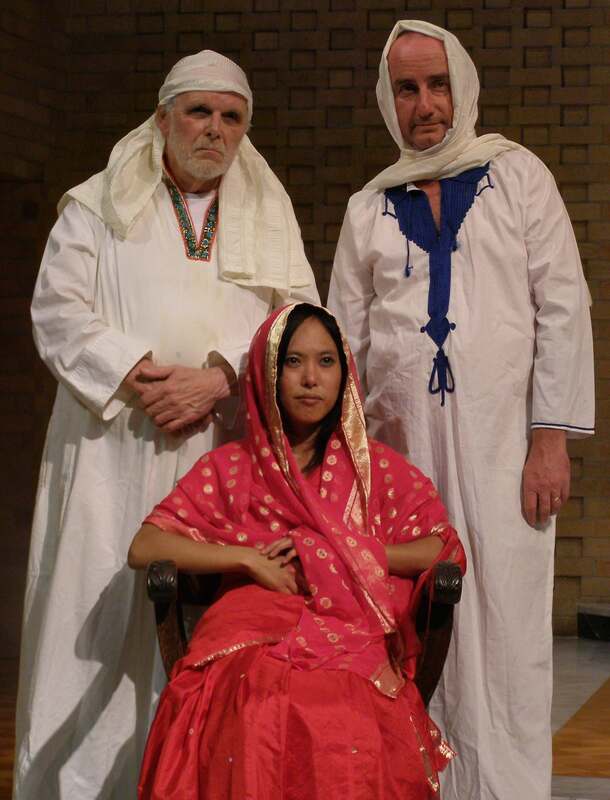 A play for Easter about love, danger and Jesus, the King of the Jews. Characters Romeo and Juditha, Hanna, Mary and Felice. Romeo and Juditha is about the betrayal, arrest, trial and execution of Jesus as seen through the eyes of five teenagers. William Shakespeare’s play Romeo and Juliet involves a tragic tale of two star-crossed lovers. Romeo and Juditha is set in Jerusalem and it too involves a romance between teenagers from families who are at opposite sides of the social, cultural and political divide. The Romans have invaded Judea and surrounding areas and conquered the locals. Romeo is Roman and Juditha is Jewish. The story is set in Jerusalem at the time of the crucifixion of Jesus. Against the drama in which the Romans and Jews clash over the King of the Jews, a young teenage couple worry their romance will be discovered. Their families would never approve of such a match. But love sees many people take risks and on one of their assignations they accidentally witness some extraordinary scenes. Their friends are no help and it seems their love will forever be unrequited. But then their lives are overtaken by something far more dramatic and amazing as the events surrounding the Son of God unfold around them. Whilst the scriptural events of the first Holy Week are well documented, the teenage characters and their actions are invented.